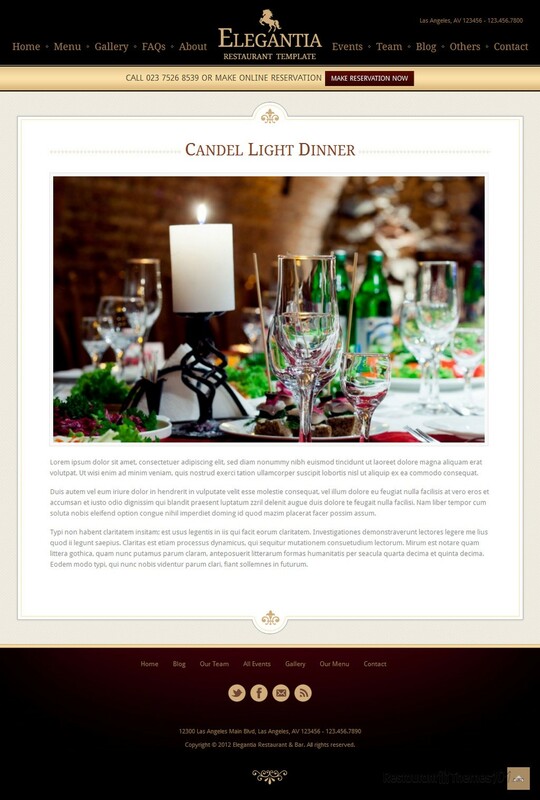 Elegantia is a responsive restaurant HTML template with a very elegant and stylish design created by 960 Development. It is presented at ThemeForest and it is very adjustable, so Elegantia can be used as a responsive HTML cafe template as well. 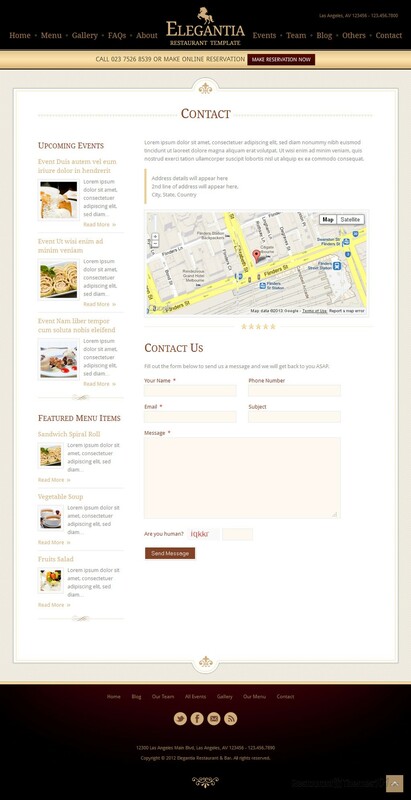 The template has numerous useful features that were placed there to fit restaurant business websites. It has a responsive design and it will make your site look great no matter what device it is seen from, including iPhones and iPads. The template is hand coded and its HTML is written with SEO optimization in mind, so you can be sure your website will have good ranking in search engines. Various widgets in footer and sidebar will provide excellent internal site linking. It is compatible with all major browsers, including Dolphin for Android. The Elegantia template has lots of content space and it contains a homepage, about page, our menu page as well as single food menu item page. The gallery is very attractive looking and easy to create with 2, 3 and 4 columns. Also, a gallery item detail page is included so you can show your delicacies in detail. You will be able to present your staff on the team page, and you can also have members of your team presenting themselves each with their separate page along with photos included. The template also features events, so you can display any upcoming events on your homepage, and you will also have a event detail page for each event. Blog listing page and blog post detail page are also included, for you to post as much as you need to. The reservation page is very nicely done and it comes with CAPTCHA support, so does the contact page. Social integration is also included, so you can connect your website to the most popular social networks. The template is very well documented and it comes with 8 PSD files included. 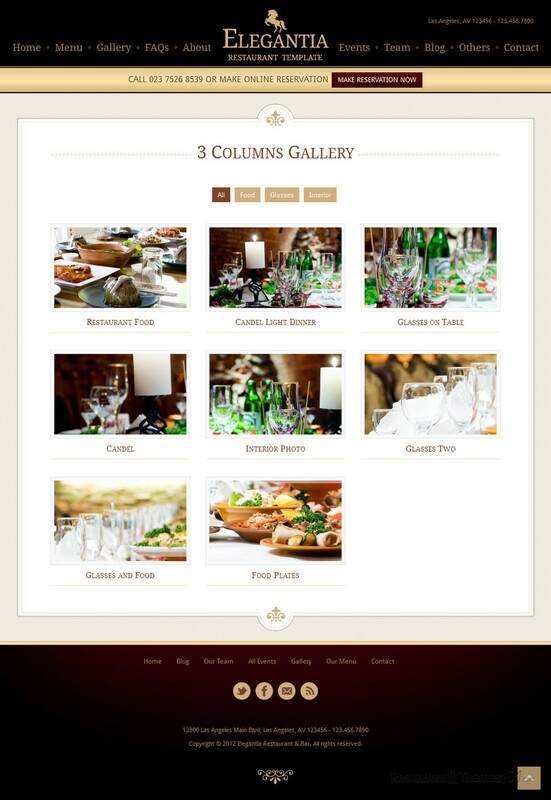 Besides this HTML template you can buy Elegantia also as a WordPress restaurant theme.